Eby Exteriors, Inc. provides home improvement services in the Wyomissing, PA area. 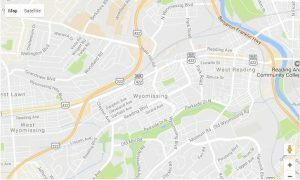 Known as the Happiest City in Pennsylvania in 2015, Wyomissing is located in central Berks County not far from Reading, PA and is a thriving community. At Eby, it’s not just about the project, it’s about the experience! And at Eby Exteriors, it’s our goal to make your experience with us a positive one. No matter how big or small a project is, you will only receive superior service every time. From our sales team to our skilled installation professionals, we will be with you every step of the way. Eby Exteriors is the first Marvin Authorized Replacement Contractor (MARC) in our area! 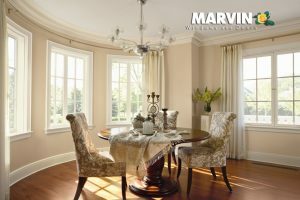 A family-owned company, Marvin manufacturers beautiful wood windows with a myriad of options such as wood species, hardware, design shapes, glass, etc. The heavy-duty aluminum-clad exterior of these units comes in a large variety of colors and trim styles. Marvin windows and patio doors are the perfect choice to fit the architectural needs of any home while providing outstanding energy efficiency and durability. 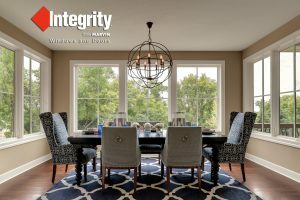 Integrity by Marvin fiberglass replacement windows offers stability, strength, beauty and worry-free durability. We believe this product is the best window value on the market today! As a local siding company, we specialize in James Hardie fiber-cement siding. Fiber-cement siding offers strength and durability creating a beautiful “wood” look to your home lasting for many years to come. In addition to fiber cement siding, we install PVC siding, composite, vinyl, stone veneer, and stucco siding. If you are looking to enhance your outdoor living experience, consider installing a new deck. We provide new deck construction using top-notch composite decking or wood, along with sturdy new wood, aluminum, or composite railing systems. We even have glass and cable railing systems to open up the feel of your deck. Our services also include repairing or remodeling existing decks, replacing railings and adding pergolas or other decorative deck enhancements. We specialize in custom porch additions. From a beautiful new front-entry porch to a screened-in porch for your back yard, to a fully-finished sunroom we’ll help you design and build it so that it looks like it was meant for your home all along! Porch additions are a great way to add value and expand the living space of your home. More and more people are renovating their homes versus selling especially in today’s market. As home interest rates begin to rise again, homeowners are looking for ways to improve their homes. Let the experts at Eby Exteriors help you with your next full-scale addition, kitchen, bathroom, or basement remodeling project. Consider Eby Exteriors, Inc. for your next home improvement project. We can bring new life to your home.